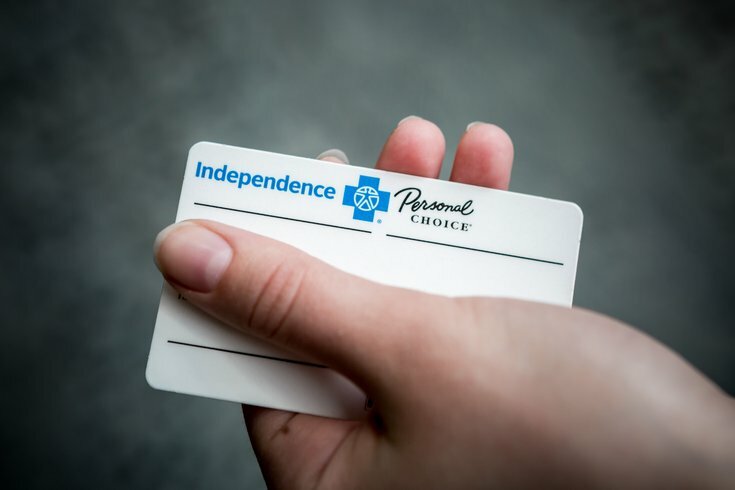 An Independence Blue Cross insurance card. Having kids can be really expensive. My son eats like he is already a teenager and seems to grow into the next-size clothing every few months. Our babysitter charges $20 an hour. Diapers and wipes cost a lot of money. Don’t even get me started on diaper cream. Is it made of liquid gold? Once he outgrew his infant gear, it was time to buy a crib, larger car seat and stroller. It seems like every other day I’m ordering stuff from Amazon Prime. For a baby born in 2015, the U.S. Department of Agriculture says the total cost of raising a child from infancy to age 17 for a middle-income family is $233,610. This does not include the price of college. Gulp! Food, clothing, housing, transportation and baby basics are just part of the equation. Since he was born, Killian has also needed several wellness visits with his pediatrician for routine screenings and immunizations. He has also had a number of doctor’s appointments to diagnosis and combat the germs that he is fond of picking up. Luckily, we have really good health insurance to help cover those costs. I believe that in America, the greatest country on Earth, no parent should have to choose between putting food on the table and taking their child to the doctor. My family is fortunate. My husband’s employer offers us the option of a great plan from Independence Blue Cross and we can afford the monthly premium to ensure we are covered for our everyday health and wellness as well as for the unexpected. That means we do not hesitate to schedule routine exams with our doctors and dentists and if we have to take our son to a specialist we do not need a referral or have to worry about how to pay for it. I cannot imagine the stress and anxiety of families who do not have health insurance, or those who have coverage but cannot afford their premiums, deductible or medical bills. According to the Henry J. Kaiser Family Foundation, in 2016 there were 4.2 million uninsured children in the United States. Of those million, nearly 71,000 uninsured kids were living in Pennsylvania. That means tens of thousands of families in the Commonwealth struggle with taking their children to the doctor for wellness visits, obtaining healthcare and prescriptions when they are sick, paying for immunizations, and more. I believe that in America, the greatest country on Earth, no parents should have to choose between putting food on the table and taking their child to the doctor. When you have a child, wellness visits, vaccinations, routine screenings and emergency visits for illness are par for the course. All of these things can really add up. God forbid your child has a serious medical condition or chronic illness, needs ongoing therapy, extended stays in a hospital, or requires surgery. Those things can bankrupt a family even with health insurance. That is why having good coverage is so important. Navigating health insurance plans can be confusing and frustrating. Even with so many providers and options available, it can be hard to find the right coverage at the right cost. But there is help. Many have differing opinions about the Affordable Care Act (ACA), signed into law by President Obama. Was it necessary and prudent, an important step to helping cover millions of uninsured Americans? I think so. The ACA’s goal is to make affordable health insurance available to more Americans by providing citizens with subsidies to lower healthcare costs for families with incomes between 100 and 400 percent of the federal poverty level. When I was single and a small business owner just starting out, I obtained my health insurance through ACA and its online Marketplace. My premium went down to a level that I could comfortably afford and I did not have to worry about annual check-ups, routine visits to my gynecologist and prescriptions like my migraine medicine. It was a huge relief. There is an ongoing debate about the shortcomings of the ACA and how it needs to be fixed. I leave this conversation to those far more knowledgeable on the topic than me. But what I can tell you is that the ACA provides all citizens with the opportunity to secure affordable health insurance and helps to cover more American families. That’s a good thing. The Affordable Healthcare Act enrollment period for 2018 closed last December. But you can still enroll for this year if you qualify for a Special Enrollment Period. To see if you qualify, visit Healthcare.gov to answer simple questions like, in the past 60 days have you lost qualifying health coverage, gotten married or divorced, had a baby or taken on a new dependent, or had a change in your primary residence or income. If so, you may be able to enroll now and get covered quickly. If you qualify for Medicaid or CHIP, you can also enroll any time of year and your coverage will begin immediately. Medicaid is an insurance program that provides free or low-cost health insurance to people who qualify for a variety of reasons including income level and age or whether you have children, are pregnant or have a disability. Medicaid program names, benefits and qualifications can vary from state to state. In Pennsylvania, the program is called Pennsylvania Medical Assistance. For more information about Medicaid or to see if you qualify for Pennsylvania Medical Assistance, visit Healthcare.gov, visit the Pennsylvania COMPASS site, call 1-866-4355, or visit your local county assistance office. There are 14 assistance offices located in Philadelphia. If you live outside of Pennsylvania, Medicaid.gov has information about every Medicaid program available listed by state. CHIP, the Children’s Health Insurance Plan, is how millions of children in America receive health insurance. The CHIP program provides comprehensive coverage that is either free or low-cost health for qualifying kids and teens up to 19 years old. Benefits of CHIP include regular check-ups, vaccinations, doctor and dentist visits, hospital care, mental health services, and prescriptions. Information about Pennsylvania CHIP or any state’s CHIP program is available online or by calling 1-877-KIDS-NOW. Congress passed a six year reauthorization to fund CHIP in January, meaning that nearly nine million children will continue to receive important health insurance coverage. Even if your child has been turned down or if you are unsure if you quality for CHIP, I encourage you to apply if your child is uninsured. If you do not qualify for Medicaid, CHIP or the Special Enrollment Period through the Marketplace, there are plenty of private providers with coverage options. Philadelphia is home to Independence Blue Cross (IBX), which as I mentioned earlier is my family’s health insurance provider. I have been covered by this company in various ways for most of my adult life. In my experience, the coverage has been great. IBX covers more than eight million people in 23 states, including more than two million in the Greater Philadelphia region. The company offers health insurance plans for individuals and families, businesses and those eligible for Medicare. It could be the right fit for your family. For more information, visit its website or call 1-888-475-6206. It is so important to make sure your kids are covered and these are just a few of the resources and options available to American families. Obtaining health insurance for our little ones, knowing they will be covered for wellness visits plus safeguarded in the event of the unexpected, is one less thing for us parents to worry about.